Empire Communities, one of Northern Arizona’s largest home builders, built communities in several cities, including Prescott, Flagstaff and Clarksdale. Branding, online marketing, graphic design, print design and direct mail. 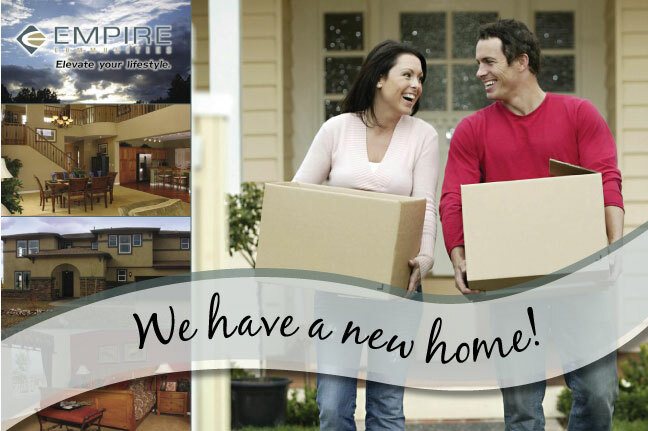 Empire Communities wanted to stay top of mind with every home owner. We designed these postcards to be given to each home buyer to announce their family and friends their move. In order to reach the Hispanic community in Arizona a print campaign was planned to run in the Spanish local media. 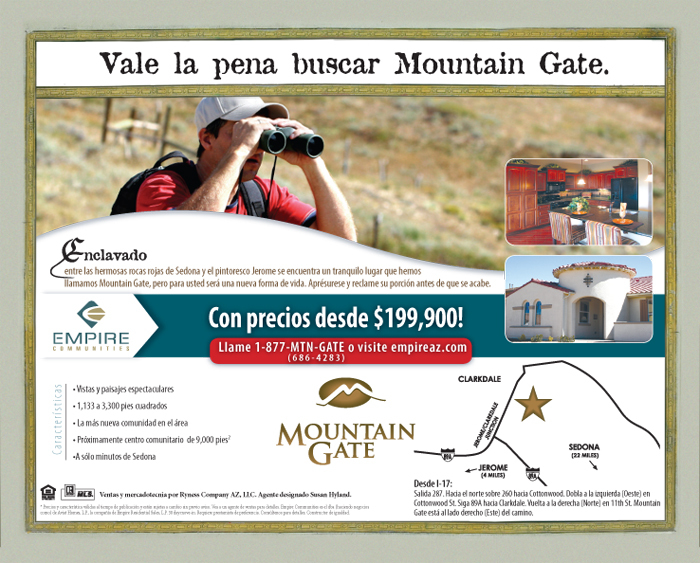 This is one of the ads featuring one of Empire Communities master planned neighborhoods.